This summer, we had an incredible opportunity to photograph two women for Prevention Magazine who are maintaining their bodies and minds through sports. Joan Campbell is an 87 year-old national record holding swimmer. 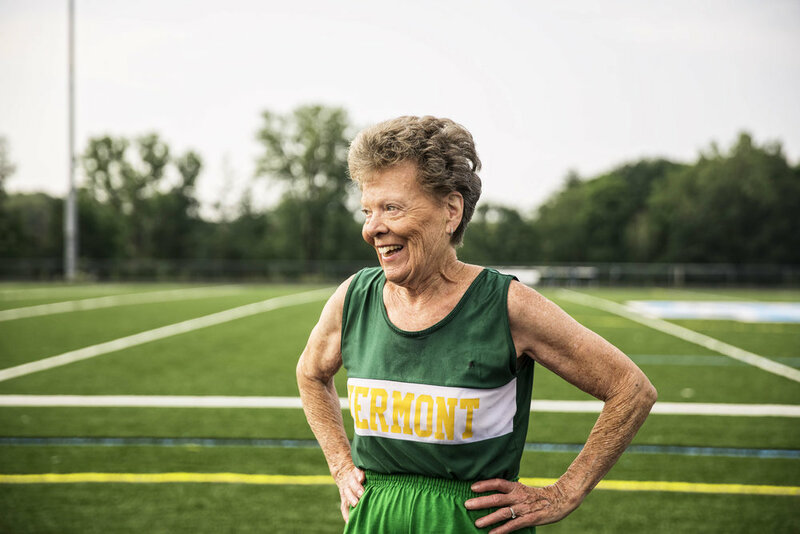 And Flo Meiler is an 83 year-old world record holding track and field star. To say we were wowed by these women is a complete understatement. We witnessed Flo doing the long jump, pole vaulting, soaring over hurdles, and throwing javelins as well as shot puts. Joan was in the water for a couple of hours, diving in and swimming countless laps in the pool. We captured a range of above and underwater shots, shooting both stills and video. We also captured short interviews with them both, and you can see the motion piece we put together with Joan's story below.